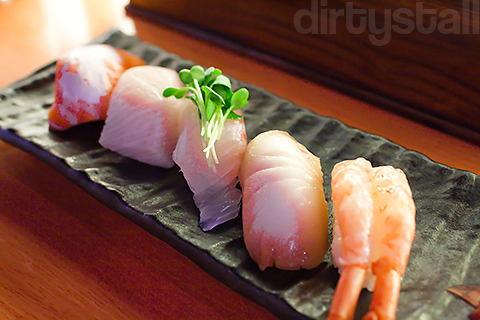 The Standing Sushi Bar recently opened a new outlet at Queen Street, now known as their “8Q” outlet. Contrary to its name, this SSB outlet has seats! And a much larger floor space to boot as well. Their dinner omakase operations have now shifted to 8Q, which allows them to provide a greater variety of dishes due to the larger kitchen. So now this is where I’m at for another omakase! These meatballs are a beef & pork mix, and they were sitting in an ankake sauce which is something like a thick starchy soy sauce. Very delicious and hearty. 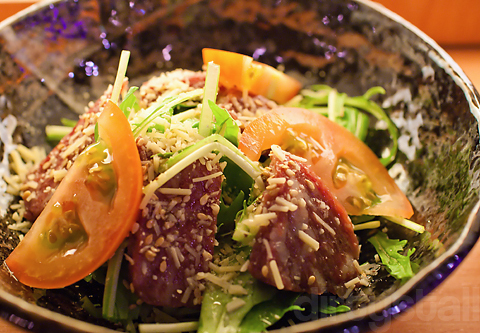 Pretty standard SSB salad course, with slices of tender raw beef. The sauce was a little bit different this time, it had some lingering heat to it on the throat. 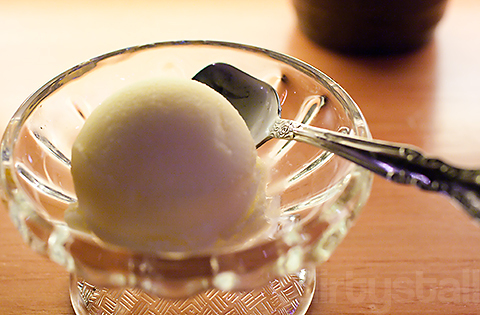 These glistening bulbous creamy sacs are known as shirako, or “white children”. Which is actually quite an apt name since they are the milt, or sperm sacs, of the cod fish. It’s hard to describe the taste but I think it’s best said to taste like mild uni while the texture is a bit like soft tofu one it hits your mouth. definitely an interesting experience, but only for the adventurous! Hokkigai and shiro-maguro seems to be what’s in stock this time. 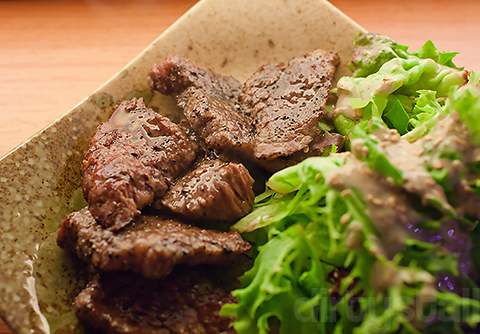 Deliciously grilled beef slices. Flavourful seasoning, albeit on the salty side, which does enhance the taste more. 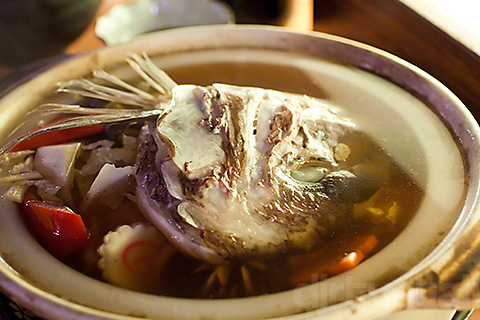 This almost vulgar-sounding dish actually means hotpot of a red snapper’s collar; although in this case the entire head was thrown in as well, and a claypot was used instead of the typical waxed paper. 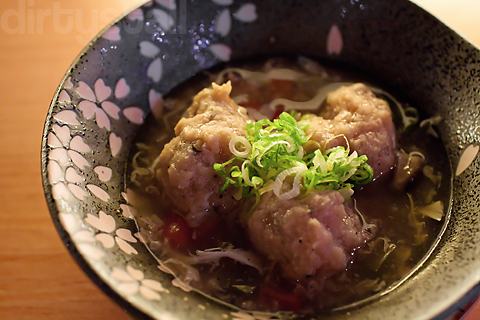 The soup is the real star of this dish – it tastes much like the usual nabe soup except it’s much more intense and sweeter as well – a product of many days of simmering, says chef Roy. And of course I always end with yuzu! 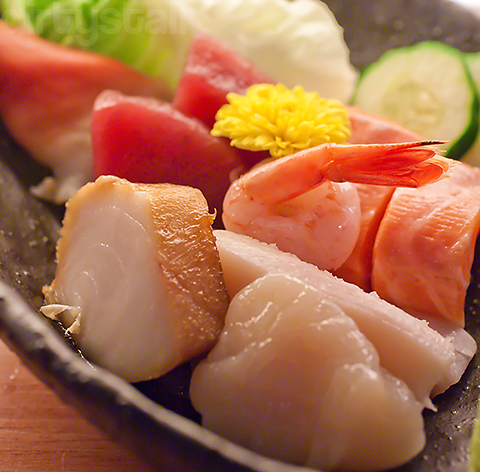 9 Responses to "The Omakase with the Fish Sperm"
Oh yours is nama shirako. haha I think I’m going for more fish sperm today. 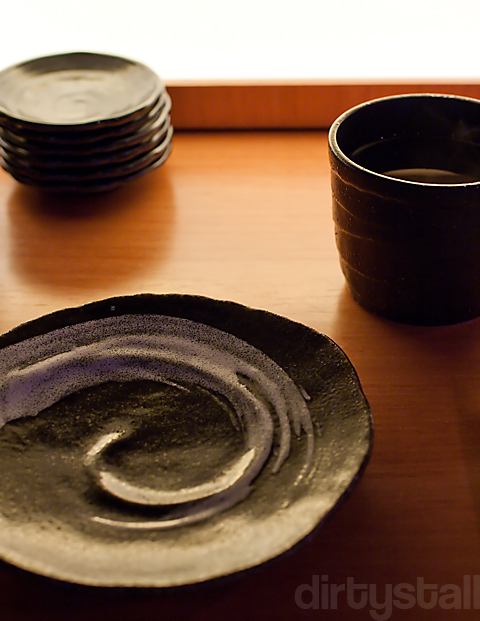 haha i don’t fancy looking at the fish sperm dish too, though i might give it a try sometime! Hehe it’s really like tofu with a hint of the sea! Haha you had it at the SSB too? Tempura version?